Lawson guitarist Joel Peat gets beautified backstage at the Summertime Ball. 9. 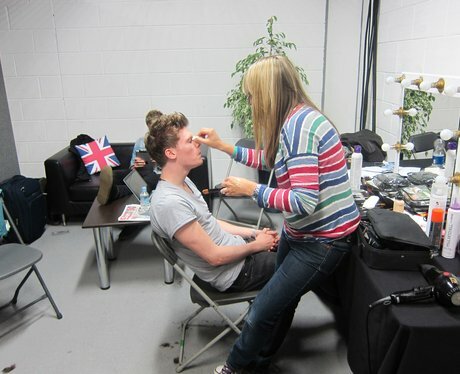 Lawson guitarist Joel Peat gets beautified backstage at the Summertime Ball.